Caragh Precision recognizes the importance of considering the environmental impact in everything we do as a company and consider ourselves as your “Green” partner in engineering. 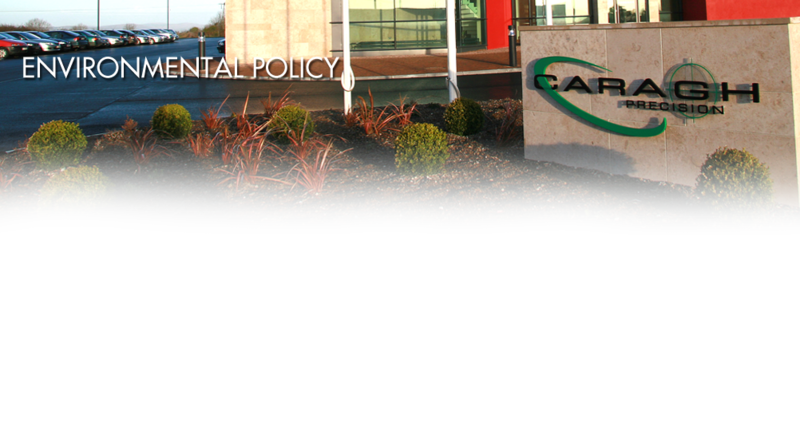 In August 2007, we took up residence in our new state of the art facility in Parkmore Business Park West, Galway. Our new facility has been designed to the highest standards in engineering and environmental efficiency, which helps us achieve a very low carbon foot print and high efficiency in our use of energy. Through the use of energy saving technologies such as heat exchange systems, lighting sensors, environmental control and many others, we have moved towards a “Greener” approach to our work processes and the use of our facility. We have recently commissioned an independent energy audit and are now pleased to announce we are officially a “Green” Engineering Facility. 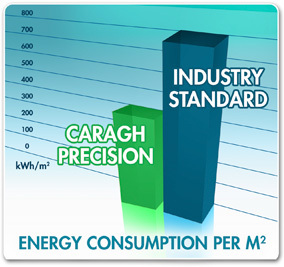 Results of this audit show that Caragh Precision operates at a 44% lower level of energy consumption per m2 than the average industrial standard as defined by the ECOG018 (Energy Efficiency in Buildings and Sites). This result shows that our facility and the manufacturing processes we use are performing to a very high standard of energy conservation, resulting in a lowered carbon foot print and energy usage.